Former Bosnian Serb wartime commander Ratko Mladic contested charges on Monday of deliberately shelling civilians during the siege of Sarajevo, one of the worst atrocities of the Balkan wars of the 1990s. 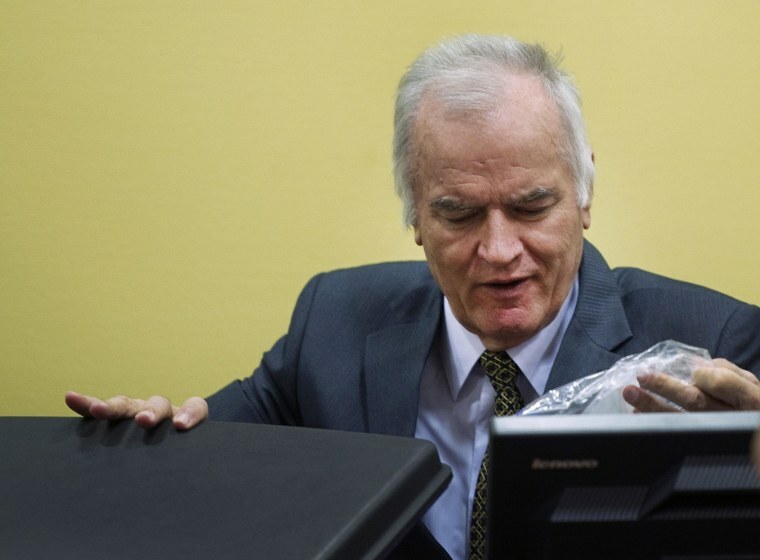 Lawyers for Mladic, who is accused of genocide, opened his defense at the Yugoslav war crimes tribunal by calling the first of around 300 witnesses. He has denied all accusations leveled at him by court prosecutors at The Hague. The trial has been delayed in the past due to his poor health. Mladic, now frail and grey, began by refuting charges relating to the 1992-1996 Sarajevo siege, where a large portion of around 100,000 war deaths during the Balkan wars took place. As many as 10,000 civilians were killed, sometimes while waiting in line for bread or collecting fire wood, by shelling and sniping in one of the longest urban sieges in modern history. Mile Sladoje, 63, a former battalion commander, under Mladic testified that the Bosnian Serb forces "only defended" positions around the capital and never deliberately targeted civilians. We "never received or gave orders to attack civilians" in Sarajevo, he told the court, formally known as the International Criminal Tribunal for the Former Yugoslavia. He countered that forces with the opposing army of Bosnia and Herzegovina held positions across Sarajevo, attacking Bosnian Serb positions from civilian sites. "There wasn't a single area without military formation or military objects," Sladoje said. He claimed Mladic's forces opened fire only in response to attacks. Sladoje also denied that his forces fired three shells in January, 1992, that killed six children playing on the street. Mladic, 71, was arrested in Serbia three years ago after 16 years on the run. Alongside Bosnian Serb wartime political leader Radovan Karadzic, he is accused of genocide for his role in atrocities, including the 1995 Srebrenica massacre of 8,000 Muslim men and boys, considered to be Europe's worst atrocity since World War II.